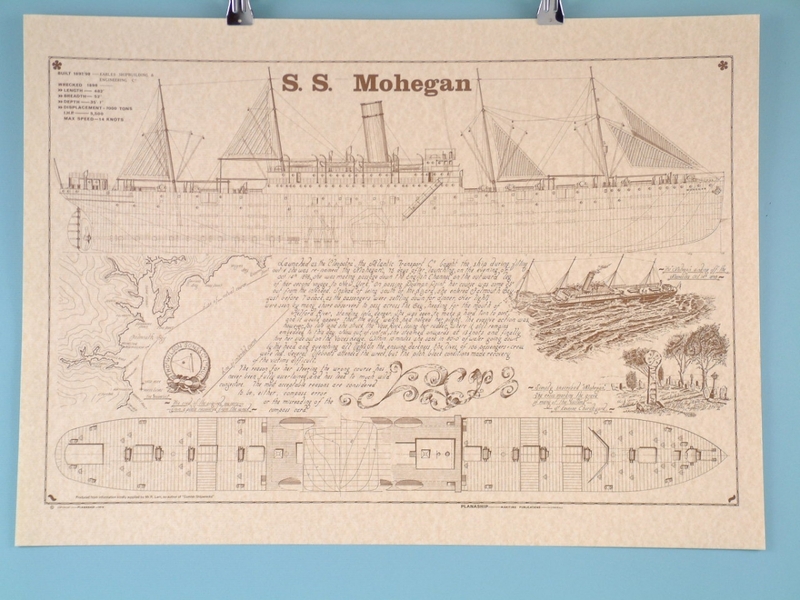 The S.S. Mohegan was a steamer launched in April 1898 which sank off the coast of the Lizard Peninsula in Cornwall in October of the same year. 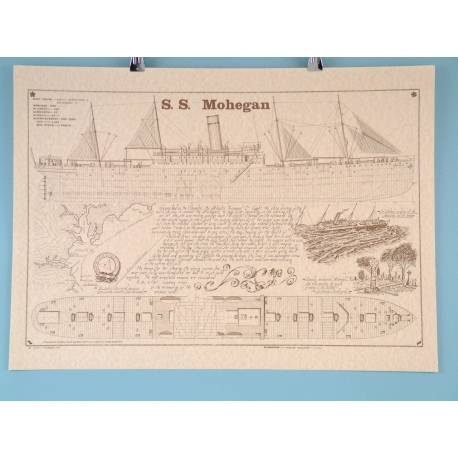 The design, story and key facts of this ancient vessel are featured in this laminated Planaship poster which your customers can own today. Each poster clearly displays the ship and all relevant information and provides a cross section that shows the interior of the ship. The poster has been designed with an aged appearance and is laminated to protect against being stained.